Hey everyone, first, I just wanted to give a big thanks to all the people who run this site and answer questions. I've browsed the forums before for answers, and you guys are lifesavers. A couple days ago I was hit by a pretty bad infection, but I think I'm in clear. I have experience getting rid of this stuff, editing/cleaning the registry, with the command line (or DOS back in the day), hijack this, etc. But it's been a few years since my last infection, so I can't remember if I'm missing something. The infection happened suddenly, probably by an inadvertant click (can't remember), but all of a sudden probably more than 10 different types of malware installed and my computer started going haywire... security shield, Sirefef, some rogue programs, a browser hijack, you name it. I had to run Rkill to get control back, then I ran MBAM and I thought that cleared it all up but my firewall/action center/BFE was disabled, so was MSE, the registry entries were corrupted, etc. I repaired the registry, got the firewall and base filtering engine back up, reinstalled MSE. MSE then detected a lot of sirefef still there (sirefef Y, AB, P, maybe some others). I rebooted to safe mode and ran combo fix. That seemed to get everything else... I ran MSE and MBAM again, and nothing is coming up. So... am I good? Everything seems to be ok, but just wanted to check and see if anyone had suggestions or if there are some other things I can run just to make sure I'm ok. Here's the DDS log (just ran it now) and below that is the log from when I ran combofix. mRun: [NUSB3MON] "C:\Program Files (x86)\NEC Electronics\USB 3.0 Host Controller Driver\Application\nusb3mon.exe"
mRun-x64: [NUSB3MON] "C:\Program Files (x86)\NEC Electronics\USB 3.0 Host Controller Driver\Application\nusb3mon.exe"
Thanks MrC. Btw, you live in So. Plainfield? I'm in Manhattan. Go Yankees. Ah crap... ran it, looks like we have more to deal with. Please help some more if you can, thanks a ton. Alright cool, thanks MrC. I'll run it and post back tomorrow (gotta get to bed for work tomorrow), so I'm not abandoning the thread. If it comes down to a format, no biggie. All my files are on an external HD... my system files/OS are on a small SSD and they're the only things on there. Please select a partition and try again. Should it be run in safe mode? Here's the log. The one item below in files is not malware (it's a program I use to gauge the temperature of my CPU). So MBAM is ok and everything is running fine- but MBAM had the same log and everything was running fine before I ran FRST and combofix a 2nd time as well. So I guess I'm asking- do you think I need to run any of those programs again, or am I in the clear? Thanks for you help, really appreciate it. 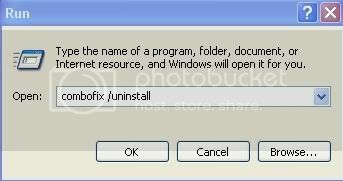 C:\Users\Phil\Desktop\coretemp_1236.exe (PUP.BundleOffers.IIQ) -> No action taken. Alright.. thanks a ton MrC. Everything seems to be working fine now.